Traditional Korean cuisine is the forte of The Sky Korean Restaurant & Bar that is to be found on the level one of the Golden Tulip Hotel in Al Barsha, Dubai. The Korean owner of this restaurant has given its dishes true authenticity because of which you will often find several Korean families and diners relishing food at this spot. Their decor seems bit outdated, but it is kept quite neat and clean. Attentive and efficient staff of this eating place is another fine attribute of The Sky, as they not only greets guests bowing down in traditional Korean style but they also brief them about the specialties in the menu. 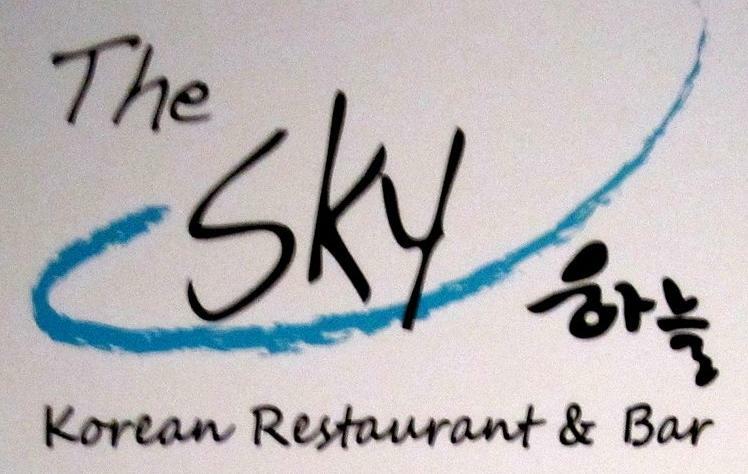 Together all these fine features make The Sky a wonderful place to consume delicious Korean fare. Korean dishes are known for their rich flavors and luscious taste. People of Dubai will find the same qualities in the Korean food served at The Sky restaurant, whose Korean owner has never compromised on the taste and quality of fare prepared at this venue. Original recipes and finest herbs are added in the food of The Sky that makes it so special and full of flavors. It is because of this reason several Korean food lovers keep this place pack. Its menu, on the other hand, has extensive range of regional dishes such as broths, bbq, stews and etc, but out of them Beef Bulgolgi is rated as the specialty of this bistro. Range of fine alcohol also accompanies the authentic Korean fare in the menu of The Sky, which guests usually order with the food. Lunch at The Sky restaurant and bar is served daily from 12:00 to 15:00 and dinner orders are taken between 18:00 and 23:00. Golden Tulip, Al Barsha 3 - Al Barsha - United Arab Emirates. 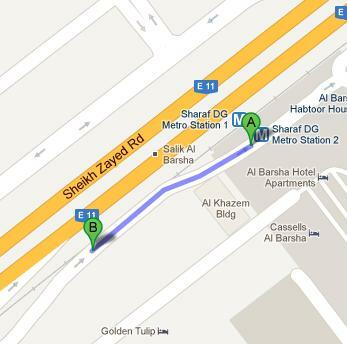 The Sky Korean Restaurant & Bar at Golden Tulip Hotel is barely 210 meters away from Sharaf DG Metro Station 1. Therefore, patrons of this metro station can easily reach The Sky on foot in about 2 minutes by following this simple course. As, they just need to head in the southwest course after coming out of Sharaf DG Metro Station 1 and in a little while patrons will be able to locate this bistro. Al Barsha, Habtoor House 1 – Dubai is also not too far from The Sky Korean Restaurant & Bar, as the gap between these two sites is 400 meters and Bus numbers 93 and F33 can be used to reach this station. From this bus stop passengers can cover this 400 meters gap on foot in about 4 minutes, if they head in the northwest course and then at the roundabout, take the first exit and continue on this path in order to spot the destination after covering 350 meters. Check map for directions.